This is the Christ the King Cathedral in Tagum, Davao del Norte which is the biggest cathedral in the Philippines and where the world's largest and longest Rosary can be found. 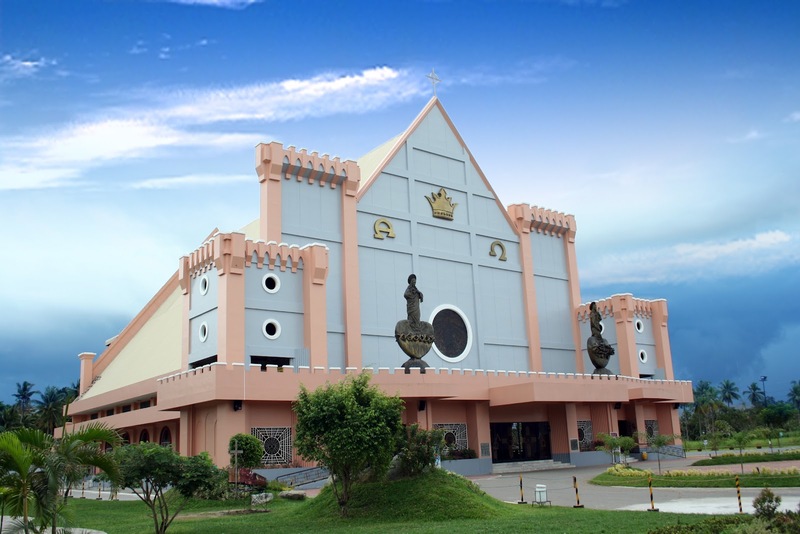 The cathedral sits on a 2 hectare donated land at the corners of Gonzales Avenue and Sobrecary Street in Magugpo, South of Tagum City, about 53 kilometers north of Davao City. 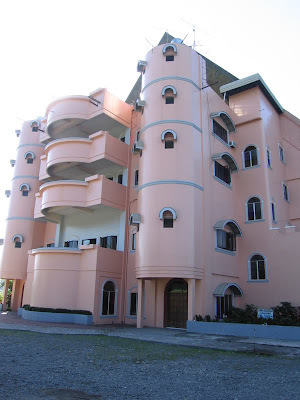 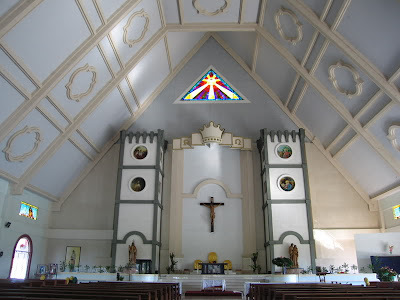 It was in built in 1993 solely from donations and took 12 years to finish, in time for the celebration of the silver anniversary of the Diocese of Tagum City in 2005. Weighing at 2,815 kilos, and measuring 85.5 meters long, this giant Rosary is the largest and longest wooden rosary in the world. 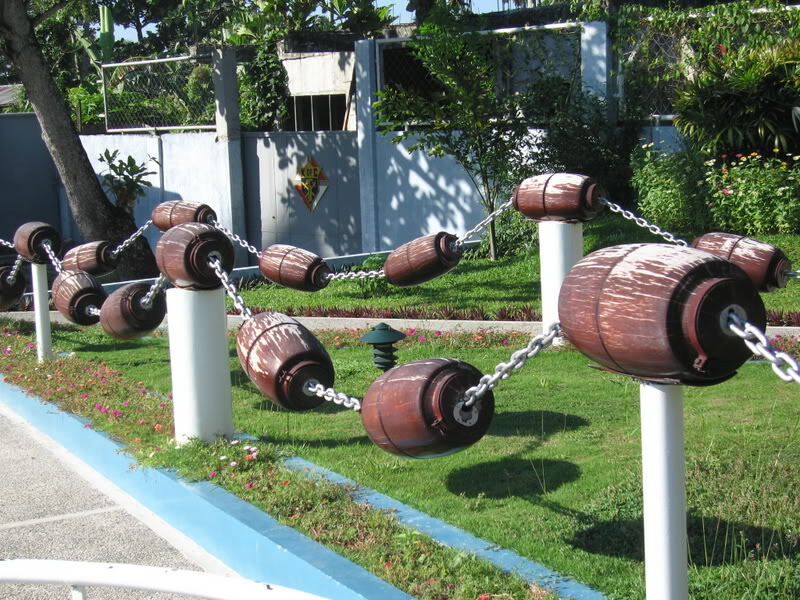 Each bead weighs 35 kg. 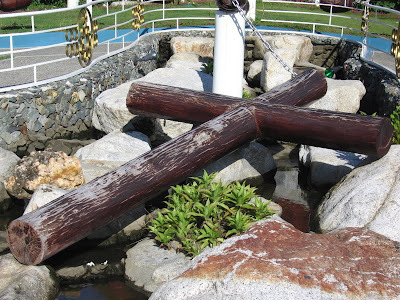 It is made of Magcomo or iron wood that is native to the mountains of Davao Oriental and Surigao del Sur. 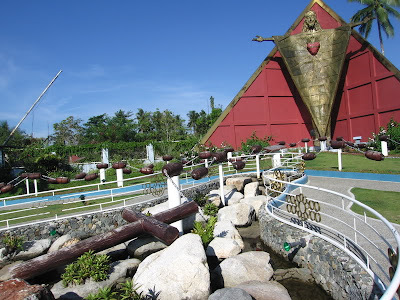 This beautiful artwork, which was designed by local artist Kublai Millan of Davao City, was originally intended as a project of the Knights of Columbus to commemorate the 25th anniversary of the Catholic Diocese of Tagum City in 2005. 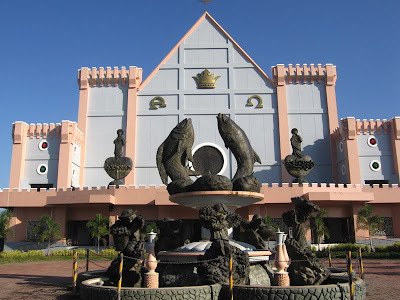 Tagum City is a First Class City in the 1st Congressional District of Davao del Norte. 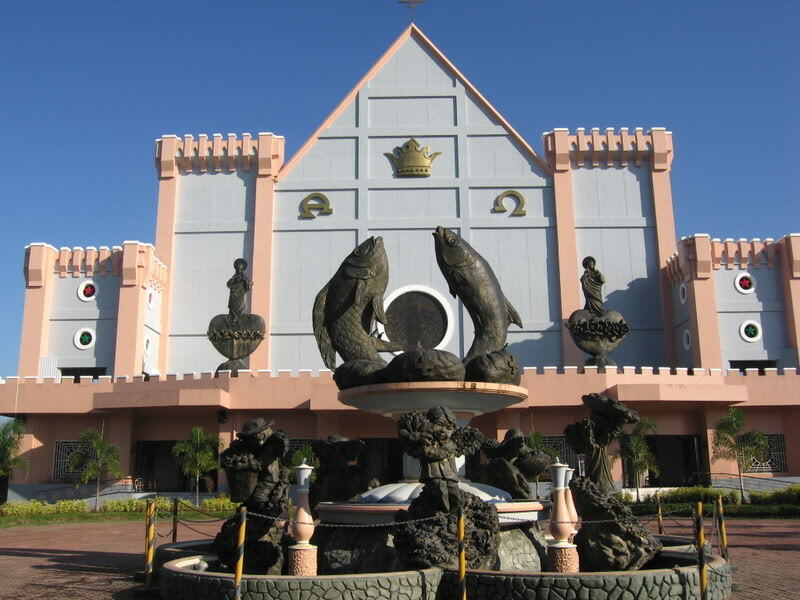 It was cited by the Philippine Cities Competitiveness Ranking Project as one of the 20 most viable and competitive business sites in the Philippines in 2005. 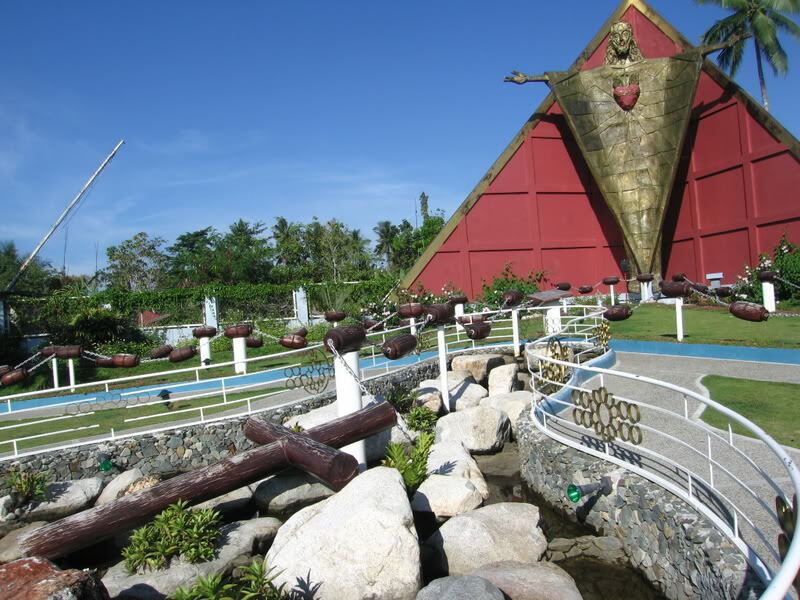 Considered as one of the fastest-growing cities in Mindanao and in the Philippines, Tagum City has become a bustling hub of culture, commerce, health services, and entertainment in the Davao Region, and in the southern Philippine region.